As other teams before them, this year’s CT Teen Poetry Slam Team is making plans to go to San Franscisco, California to participate in Brave New Voices–Witness the Word 2012. They will be using the WPAA-TV facility to workshop performance techniques and do a fundraising feature performance on April 14th at 8PM. 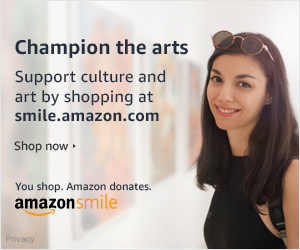 There is no charge for this performance: however, tax-deductible donations are welcome through their sponsor Piece Theatre. Piece Theatre Founder and veteran performance poet Josiah Houston is this year’s team performance coach. 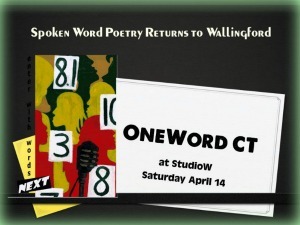 Among other Performance and Poetry accolades, he was a member of the CT Teen Slam Team from 1999-2001. He has subsequently led a dramatic life journey through the world of theater arts, the lessons from which he hopes may benefit this fine group of young Connecticut writers: Sera Pisani, Julie Ficks, Sophie Dillon, Maggie Kearney, Kate Bartell, and Evan Knoll. I had the benefit of working with veteran thespian John Basinger for one day. One day with him transformed my awareness of what was possible delivering off the page. April 14th is designed to have the same potential for this team. A combination of good writing and performance is still a rare experience. I hope the folks in the Wallingford area come out and enjoy this event. Great Event. OneCT soon to be scheduled on Fri/Sat at 10PM in WPAA Performance Zone.